Gardendale High School, Gardendale, Ala. Plaintiffs in a more than half-century old desegregation case are asking a federal judge to keep Gardendale, Alabama from establishing its own school system, even though the judge ruled earlier this month they would be allowed to split from Jefferson County schools. 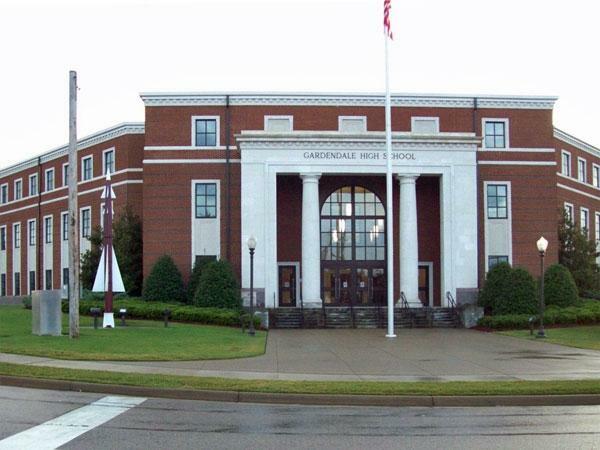 Al.com reports plaintiffs are appealing U.S. District Judge Madeline Haikala’s ruling allowing Gardendale to create its own school system. That's despite her own findings that Gardendale residents had racial motives for the split with Jefferson County. They’re asking Haikala to stay her decision pending an appeal before the 11th Circuit Court of Appeals. A 1971 order in an even earlier federal desegregation case against the Jefferson County School System established ongoing oversight for county schools – and cities seeking to split from Jefferson County – to ensure racial balances are maintained in school and no discrimination occurs. Haikala’s current order would allow Gardendale to take over the two county elementary schools within its city limits beginning this fall. They’re ordered to develop a desegregation plan, pay Jefferson County a sum of money for Gardendale High School, which cost $55 million to build, and rezone their elementary schools. At that point, Gardendale officials would be allowed to ask to take over Bragg Middle School and Gardendale High School.